Setting out from Phi Phi to Lipe you are taking yourself from one of the most famous and glamorous locations in Thailand to one of the country's most glamorous but infrequently visited islands. Koh Lipe enjoys a remote setting down close to the border with Malaysia, way off the frequently travelled paths of other holiday makers. Going on the ferry from Phi Phi to Lipe takes you down Koh Phi Phi with its cliff scenery, ideal coral reefs and beaches, passing the famous Phi Phi Ley where they made the the movie 'The Beach' starring Leonardo Di Caprio on Maya Bay, you might at first get the impression that you are moving away from where you are supposed to be. Koh Phi Phi is, after all, a paradise rarely experienced and improved on. The dramatic scenery, the glorious coral reefs, the buzzing village and no cars make this the end destination for so many that it is counter intuitive to want to leave. There is, however, more to explore. The west coast of Thailand is a series of small inlets and of off lying islands many surrounded by coral and many of the same style of scenery as Koh Phi Phi. These limestone cliff islands make for a wonderful cruise to Koh Lipe. The Phi Phi to Lipe follows the west coast of Thailand for a journey of about 100 km. Starting at 08.30 am the ferry island hops all the way down to Koh Lipe to arrive at 15.30 pm. The ferry first takes you to Saladin pier on the resort island of Koh Lanta (10.00am). 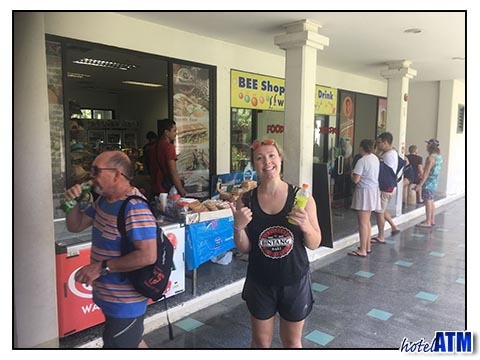 From here you head south to Koh Ngai (11.00am), then Koh Muk (11.15am), Trang Hat Yao Pier (12.30 pm), Koh Laoliang (14.15 pm) and finally Koh Lipe (15.30 pm). Koh Lanta, Koh Ngai, Koh Muk, Trang Hat Yao Pier and Koh Laoliang are all great destinations in their own right and can be explored on another trip but these stop-offs add to the charm of the journey. Each port has the usual colourful throb of daily life as local people move themselves and their possessions between home and market. The Phi Phi to Lipe schedule is greatly affected by the weather. Most of these islands are exposed to the westerly monsoon winds in June and September and these routes are also closed in Low season. This is because the Phi Phi to Lipe is a north south journey and the strong low season winds are from the west which is equivalent the force to the side of the ferry, creating a dangerous rock. 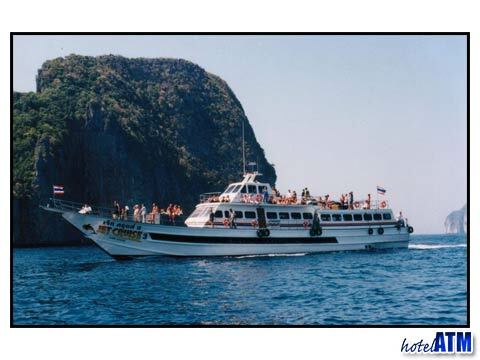 The Phi Phi to Lipe schedule starts running November 19th until April 30th. If you wanted to get to these islands in Low season (May till November 19th) you will need to go Phi Phi to Krabi route by ferry and then take a bus to the ports that have routes that head out directly into the westerly waves. Koh Lanta, Koh Muk and Lipe can all be reached by regular service from the mainland. Koh Lanta can be reached by bus and going on chain ferries between the mainland and Koh Lanta Noi and Koh Lanta Yai. To get to Koh Muk you need take the bus from Krabi to Trang Hat Yao Pier. And finally, to get to Koh Lipe you need to take the bus from Krabi to Pak Barra in The Thai Province of Satun.